Clicking the “Add New” button will create a new Field Group. When editing a field group, you will see 3 areas of interest; Fields, Location and Options. Each field requires a Label, name and type. All other options are not required and will change depending on the field type. 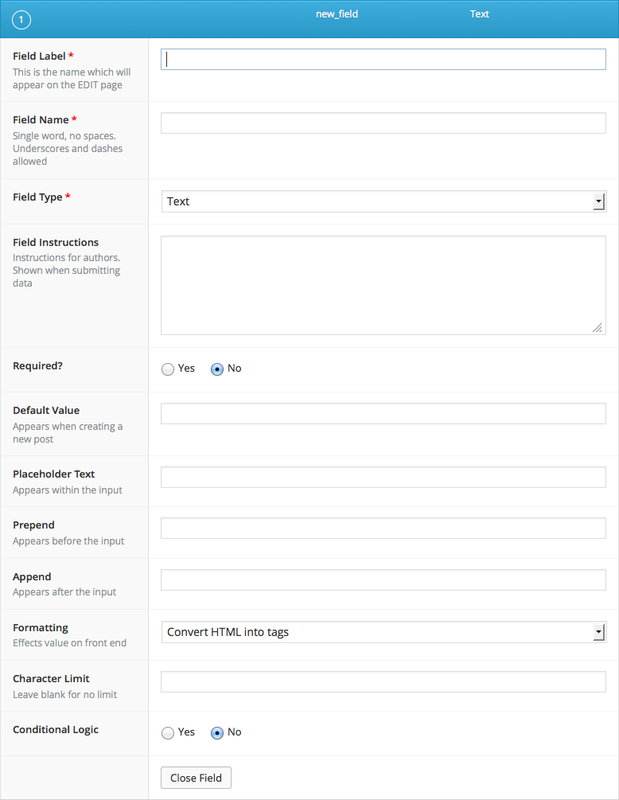 The field label is visible when entering content but is not used by the API, use capitals and spaces for a human friendly field label. The field name is the computer version which should be lowercase and have no spaces / special characters. This name is used in your templates to retrieve the content / data. 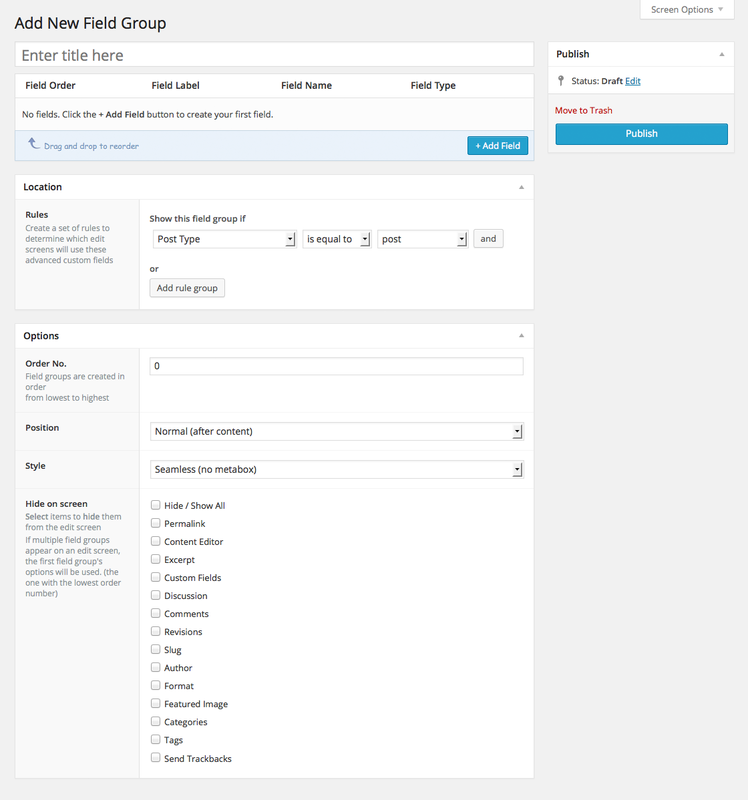 Hovering over the grey bar at the top of the field will reveal action buttons similar to any other WP list. These actions allow you to delete, edit (open / close) and duplicate the field. Please note that location rules can be grouped together to create any combination of and and or statements. 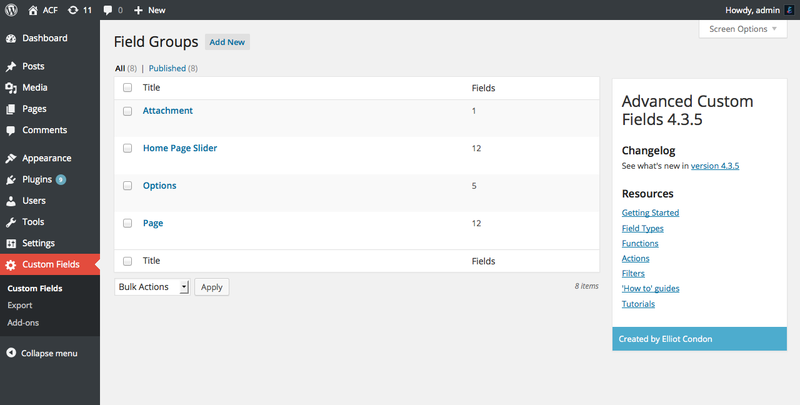 For each field group, there are a few simple options to help customize the edit screen where this field group appears. If you have multiple field groups appearing on a page, the first field group’s options will be used. This is why you can set a order number. Field groups are loaded and displayed in order of their “order no” where 0 is the first and 99 is the last.